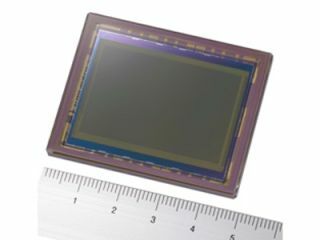 Is Nikon preparing to launch a 25MP D3 successor? Will the rumoured D3X use Sony's 24.4MP full-frame sensor? Following on from rumours earlier in the week that Samsung is working on a full-frame DSLR, come whisperings that Nikon could be preparing the way to launch a more powerful version of its flagship D3 model. According to Engadget, the rumours began circulating after hackers levered open Nikon’s latest D3 firmware update and discovered a number of references to a new D3x model within the update code. According to Nikon naming convention, each new model is usually superseded by an ‘X’ model (D40-D40X, D2-D2X and so on), so the rumour certainly has plausibility. Given that Sony supplies Nikon with DSLR sensors, it’s entirely possible that a D3X could extend to 24.4MP. However, with the 12.5MP D3 still at an early stage in its lifecycle, Nikon would almost certainly want to dampen down any talk of a camera with twice the pixel count – even though it’s now well established that pixels aren’t everything. What seems most likely is that a D3X with an increased pixel count would be made to ‘suffer’ in other areas of performance, for example a slower frame-rate or increased noise. This would then allow Nikon to market the two models as very different beasts.